Yesterday I was trying to begin with EJB. 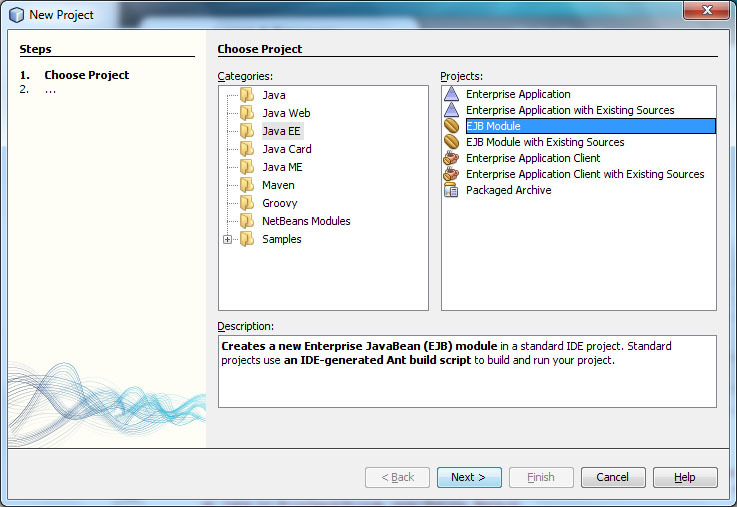 There are lots of resources in web, but I found very less for EJB 3.0 in Netbeans. Among all tutorials, a video in Utube was easy to follow and very effective for understanding. 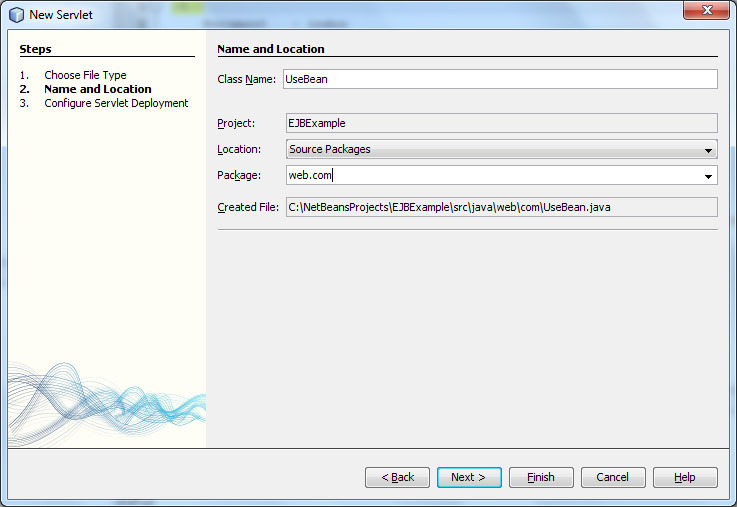 Just few changes was required for me, because that tutorial is in Netbeans 6.1 and I am using Netbeans 6.9. 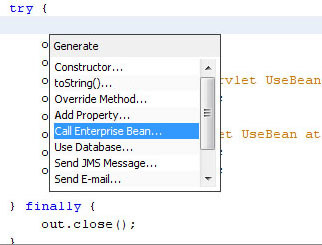 Here are those steps that I followed for a Stateless Session Bean program to combine with JSP and Servlet. 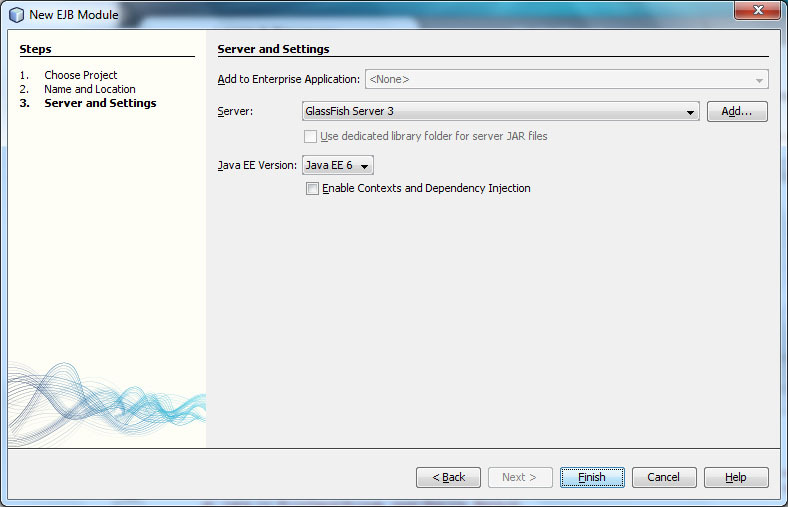 Select Webserver and J2EE version, Finish. 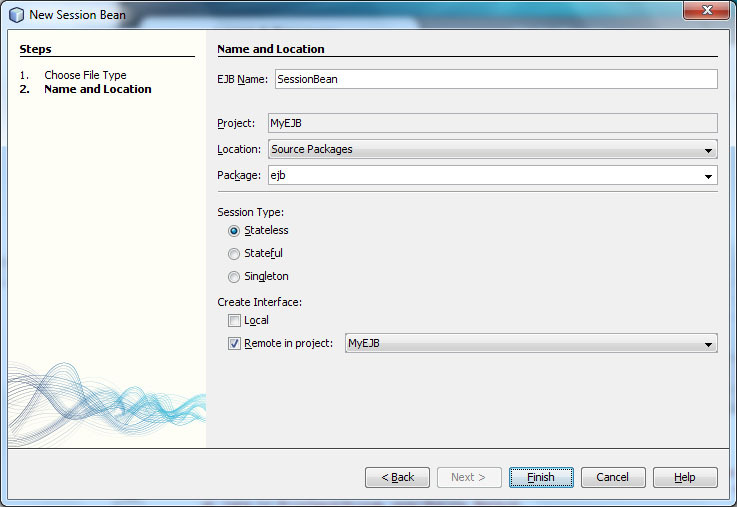 Right click on the Project -> New -> Session Bean..
Change the given method body to following code. 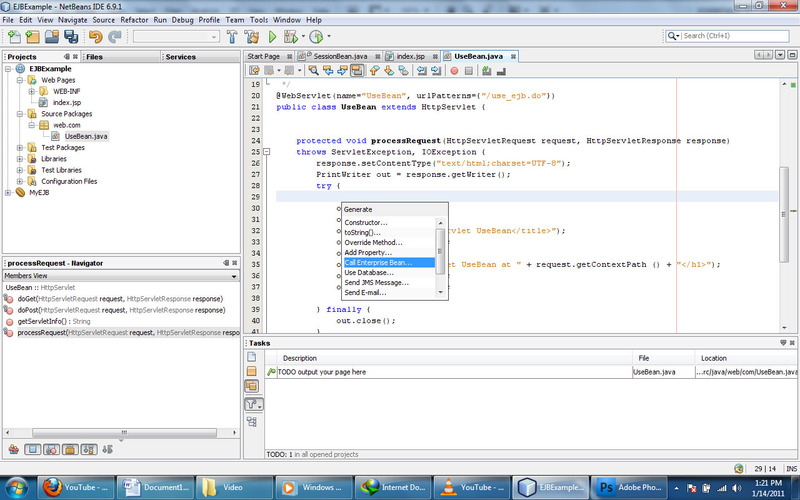 Now the componenct is created and we have to use that component in Web Container. 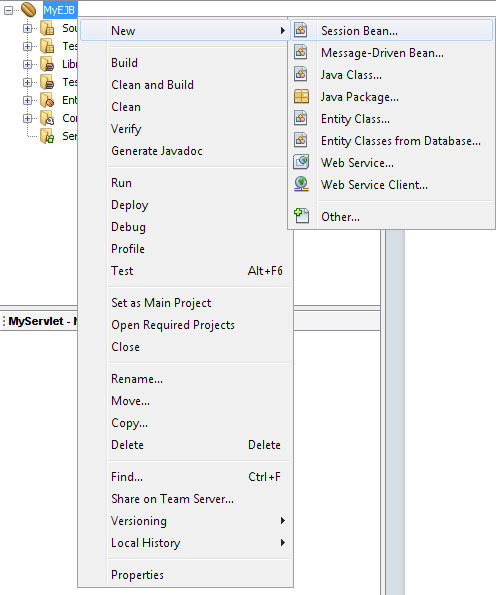 Here in this example we are going to use the EJB component via Servlet. 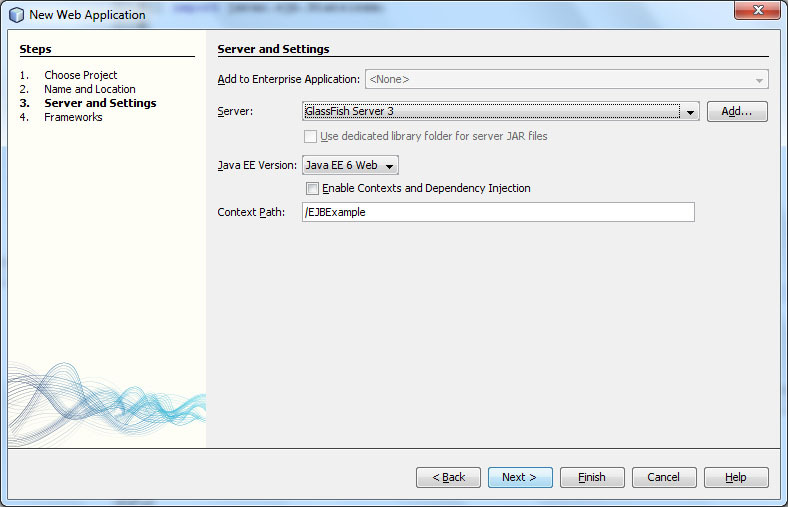 Next, Select Web Server and J2EE version, Finish. 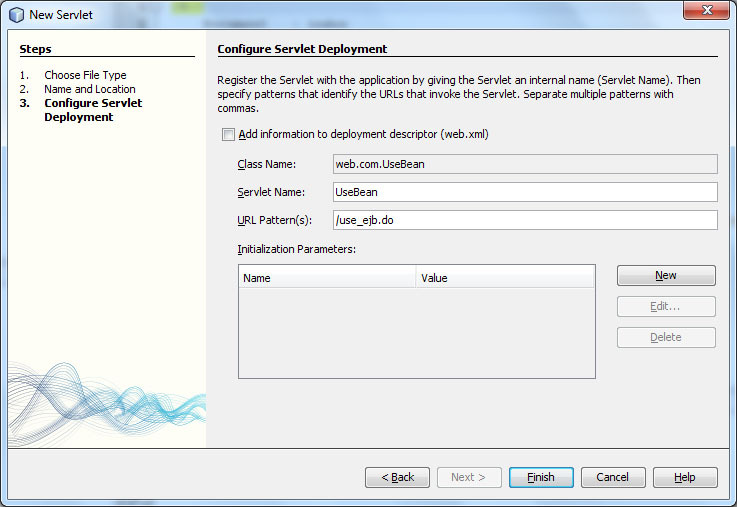 Right Click on Web Pages -> New -> Servlet..
Next, Provide a URL pattern for the Servlet, Finish. 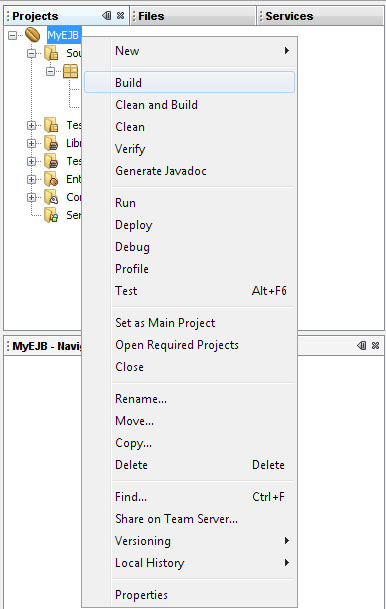 In Servlet Page, remove comment from processRequest method body. 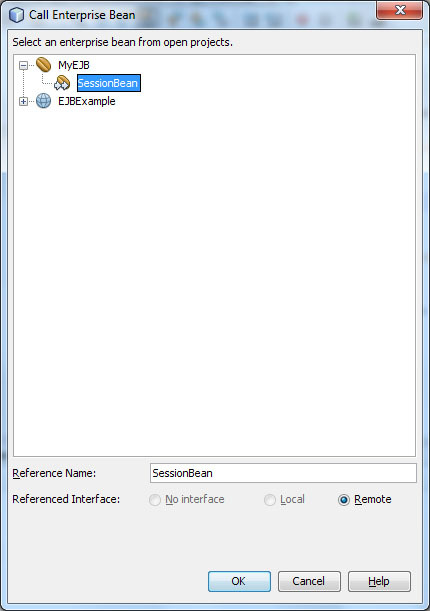 Then go to Servlet and send the received value from textbox to the RemoteBean method to get result from the RemoteBean. It would be useful if there is such a demo program using stateful,msg driven etc..etc.. 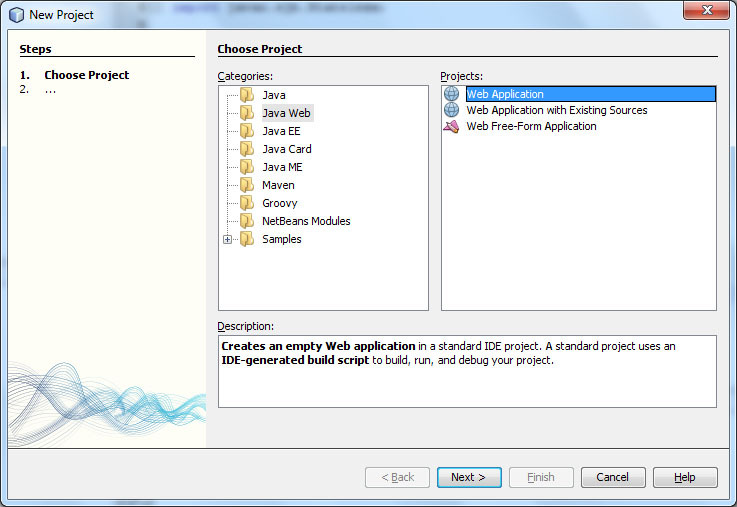 I worked the same example with netbeans 6,9.1 ,i got this error after MyEJB has been successfully deployed…. 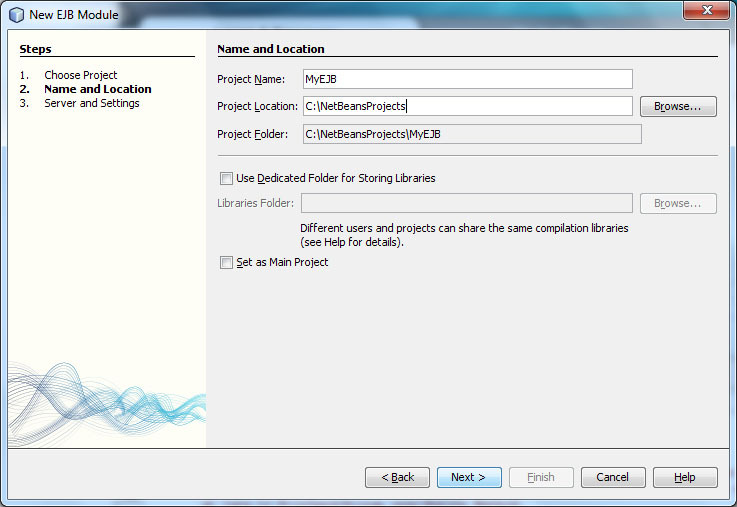 C:\Documents and Settings\student\My Documents\NetBeansProjects\WebEJBExample\nbproject\build-impl.xml:586: The module has not been deployed. 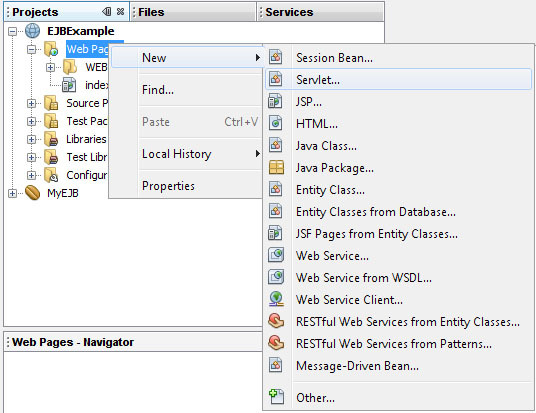 Thanks a lot Mr. Prashanth,for this useful info.It helped me a lot..
descriptionThe requested resource (Servlet UseBean is not available) is not available. 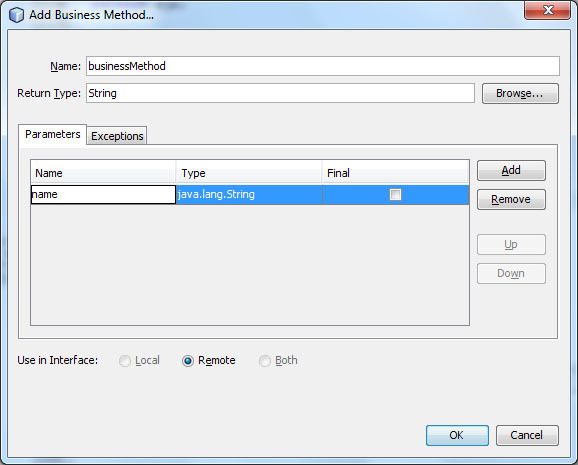 Instead of return type String I use Void then How to execute void method in servlet? ?